When it comes to AC repair, sometimes it’s incredibly obvious that you are in need of help from a professional. If you come home from work one day and find that the temperature in the house is 86 degrees, then it quickly becomes apparent that you are in need of air conditioner repair. But sometimes it’s nothing so obvious as a 15-degree change in temperature that happens while you’re at work. Sometimes your AC unit needs repair even though the problems are a little harder to figure out. Today we’re going to take a look at some of the problems that can go wrong with your air conditioning so that you can get it repaired before you come home to a sweltering house. This can be an easy fix to a problem that most often happens on the first warm day of the year. That’s because many people are coming out of winter and forget to turn their thermostat from “heat” to “cool.” This is certainly a simple fix that can prevent you from having to call a heating and cooling expert. Your air conditioner works together with your HVAC’s blower in order to move air throughout your home’s air ducts. If you experienced perfectly normal heating during the winter but now have problems with little or no airflow from the vents, it’s likely the air conditioner’s fault. If you noticed the poor airflow in winter too, you could have problems with your HVAC’s fan. The first thing to check would be your air filter in the furnace section of the heating and cooling system. If the filter is so clogged with dust that it’s not letting much air through, all you need to do is replace it. Of course, there could also be a problem with blockage somewhere in the system. While it’s unlikely that some large animal or a child’s toy found its way into the ducts, it is a possibility. It could also be that your ductwork system was crumpled in some way, or became disengaged from the system due to the house settling or being in an earthquake. Both of these will require ductwork maintenance. When it comes to heating and cooling service, the term cycle means “to turn on and off.” So when a furnace or air conditioner cycles, it’s doing its job and then taking a break once the temperature meets the instructions from the thermostat. On a 100-degree day, it’s perfectly normal for an air conditioner to turn on more often than on an 80-degree day, because it’s fighting the outside temperatures. The problem arises when cycling occurs too frequently. If you notice that your air conditioner turns off after 10 minutes and then comes back on just a minute later, something is wrong and it’s time to contact an air conditioning repair service. Most of the uncomfortable feelings we get from the summer months comes from humidity. While the direct heat from the sun can be extremely uncomfortable, it’s made all the worse when that discomfort doesn’t go away when we’re in the shade. In fact, indoor air conditioning isn’t just about cooling the air but also removing the humidity from it. By doing both, you’re able to enjoy the indoors throughout the day no matter the humidity fluctuations. If you’re sweating inside, there’s something wrong with your system. Air conditioning units go through a lot, especially during Maryland winters. If you think about it, they’re the only appliance that has to deal with the outdoors every day of the year. Because air conditioners are out in the elements, they might experience leaks when hoses crack or pipes become disconnected. When that happens, it’s likely that coolant is leaking or is causing water to condense in the wrong places. If you notice any standing fluids of any sort around your air conditioning unit, give a professional AC repair technician a call. Coolant leaks in an air conditioner can cause other problems, namely ice formation. This one is fairly obvious when it occurs outside the unit, because the ice will often be attached to the hoses that are leading into the house. While your first clue that something is wrong will probably be the warm house, ice is a definite sign that it’s time to call air conditioner repair service. It’s not unusual for there to be a few odd smells the first time you turn on a furnace or air conditioner for the season. Dust and dirt accumulate when HVAC units aren’t used for months at a time, and the fans will often stir up something weird. It’s when the problem persists that you need to contact someone for HVAC service. Bacteria might have taken hold in your AC unit last fall and survived the winter, only to start growing once the weather turned warm. (Let’s hope it’s not black mold.) It’s also possible that you’ll need HVAC cleaning, in case a rodent got into the vents and died. 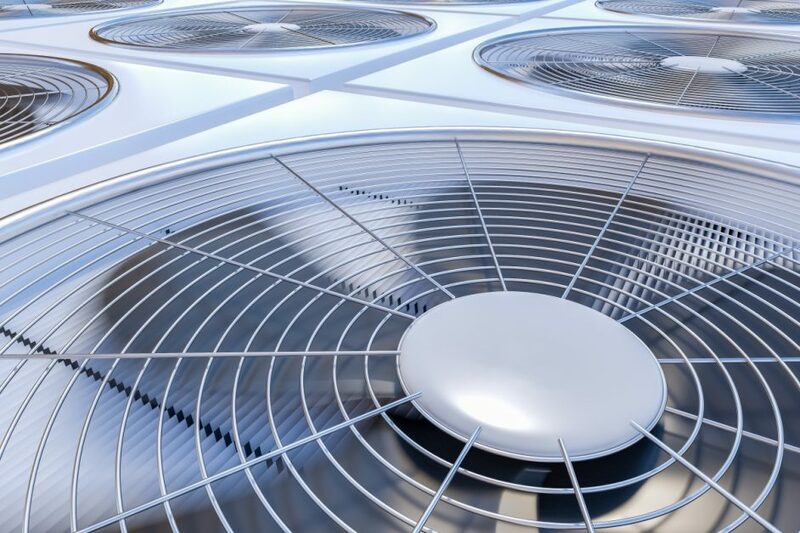 There are quite a few reasons you might be experiencing such a smell, so if you suspect that funk might be coming from your HVAC, it’s time to contact an AC specialist. Sometimes an air conditioner can be performing perfectly fine and still be on its way to needing repair in the near future. Strange noises often mean that something is about to go wrong, and they shouldn’t be ignored. That’s because the noise usually means that something is out of alignment, and a small problem now can lead to much bigger problems in the future. For instance, a fan making noise today could work loose and cause a motor to fail tomorrow. Be sure to give an HVAC company a call in order to get ahead of the problem. Get AC Service From the Best! As we mentioned at the beginning of the article, some problems with an air conditioner are obvious while others might sneak up on you. If the simple fixes don’t solve the problem, it’s time to contact the professionals at JC & JC HVAC Mechanical Contractors.